Last month, after Google confirmed that it's hiring a portion of cleaning start-up Homejoy’s staff, there were reports that the search giant is building a technology to allow online users to easily connect with local professionals. Looks like the feature has started rolling out. 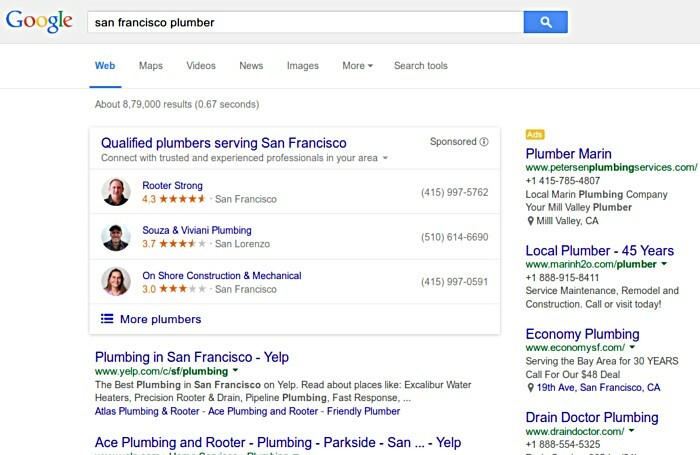 Now when you search for terms like "plumber" or "lock repair," Google displays a sponsored result box at the top containing listings for these services. These listings, as you can see in the screen-shot above, include information such as contact number, rating, location, picture of the service provider (or representative), as well as details of the service being provided. 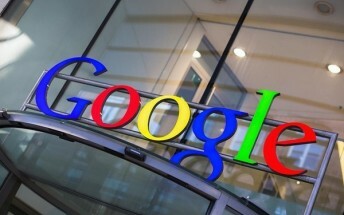 Although these are paid ads, the professionals/businesses are pre-screened by Google, which conducts license, insurance, as well as background and performance checks before qualifying them. As of now, the feature only works if you're searching for plumbers, handymen, locksmiths, and house cleaners around San Francisco Bay Area.